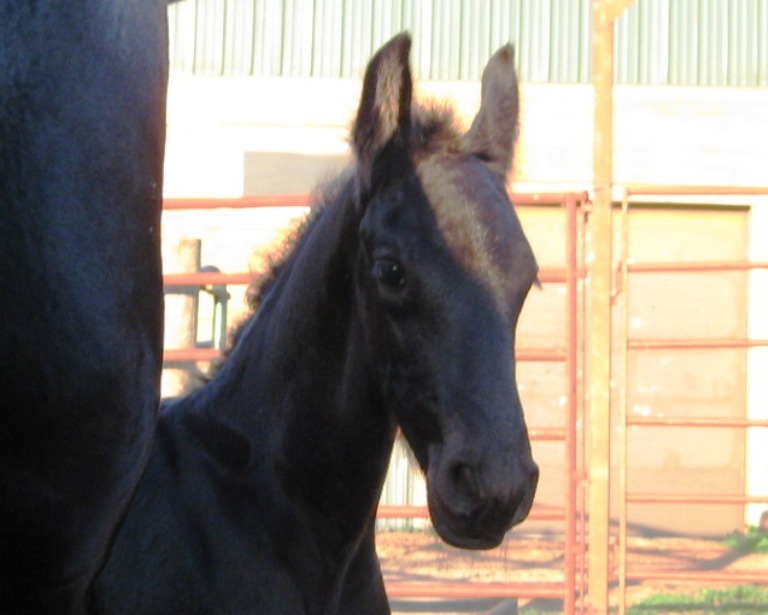 Dwight "Dewy" is a registered FPS/FHANA stud cold, born 6/19/09 out of Nanning 374 and our studbook mare Tekla W, (dam’s sire Erik 351). He is a full brother to Reagan of Friesian Stable, here on our website under 'Our Horses.' He has the same noble features inherited from Nanning, including long forelegs, gorgeous arched neck, powerful hindquarters and lots of feathers! 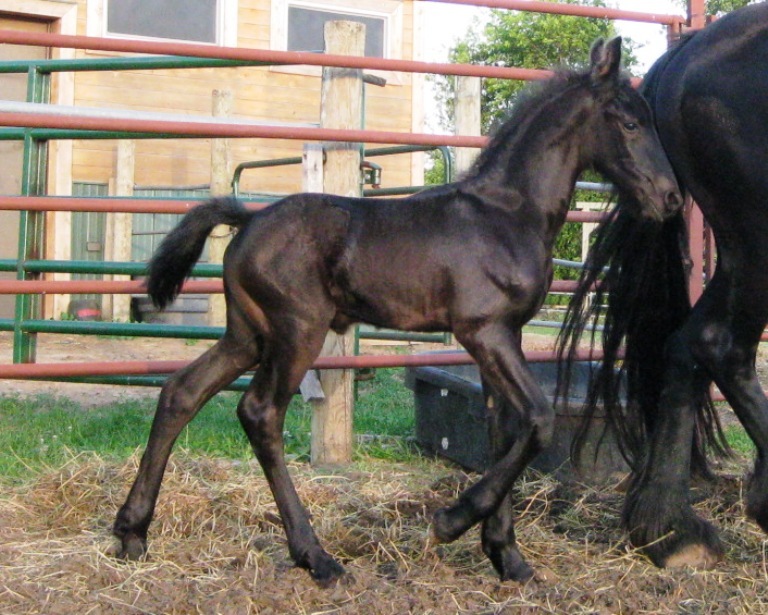 Nanning is one of the tallest approved stallions in North America. 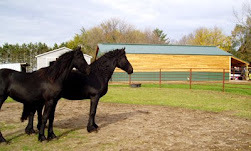 Dewy has a very outgoing personality and get along well with the other horses. He's the first one to greet you in the barn - and loves attention. Dewy will be an excellent horse for all disciplines including dressage, western, pleasure and driving! 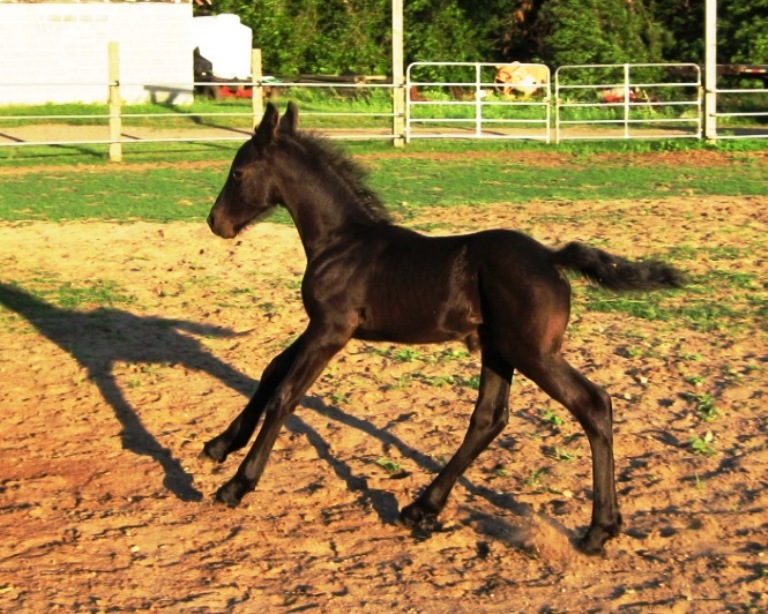 Congratulations to Laura of Missouri on the purchase of Dwight! 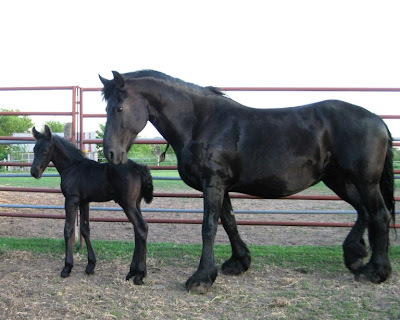 We are a small family operation, breeding pure Dutch registered FPS/FHANA Friesians. We’re located in Cambridge, Minnesota (one hour north of Minneapolis and St.Paul). In Memory - Tekla W.